Just a friendly reminder for those of you who may have some games to still register. You can register games up until the 31st of this month, and after that Club Nintendo will be shutting down for registration and surveys. You will have until June 30th, 2015 to claim rewards using your collected coins. 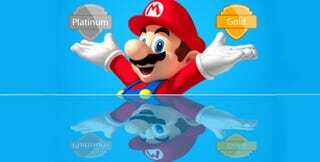 If you reach gold or platinum status the elite rewards should be revealed sometime early next month. You will have only the short amount of time from April 1st until April 30th to claim your elite gift this year. Here's a handy link to their program notice with a FAQ including all information you might need. And here is a link to the rewards page that will contain elite rewards come Wednesday.